Home » Coffee Shop , Deira City Centre , Food , Food in Dubai , Food Trip , Papparoti , Restaurants in Dubai , UAE » PappaRoti: Love at first Bun! 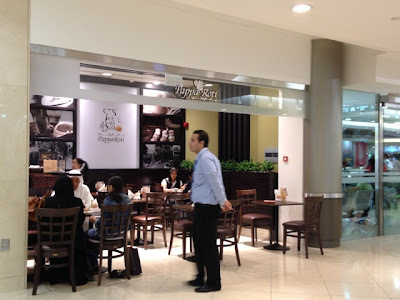 I've been hearing great stories about PappaRoti Cafe at Dubai Mall week after week. Most of my friends went crazy for some time, while I ignored all the fuss! 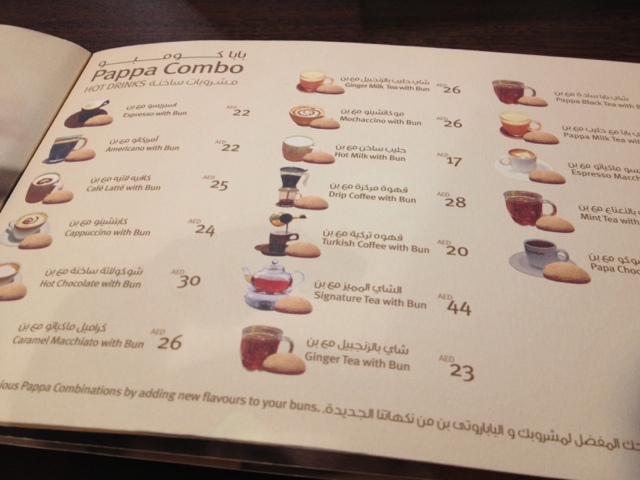 The cafe is just too crowded, too noisy, definitely not my ideal coffee shop. I decided to give it a try when a friend told me that there's a less-crowded branch at Deira City Centre. 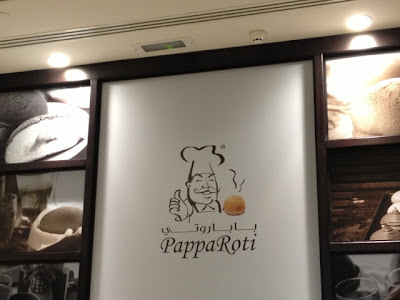 A PappaRoti shop where I won't fight for a seat? hmmm sounds good to me! 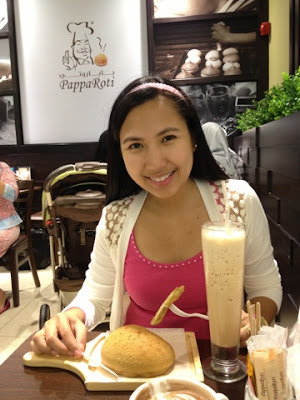 So, after a year, I finally gave in to the PappaRoti craze! Being first-timers, Ed and I spent some time choosing from the menu. 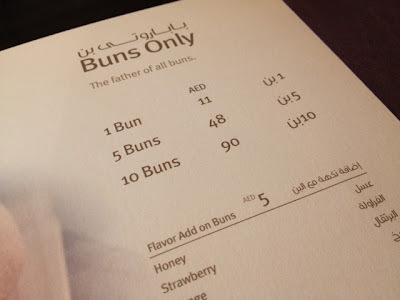 11 AED for a bun? This bun must be something special! And an option to spruce up the bun with an additional flavored syrup drizzled on top. 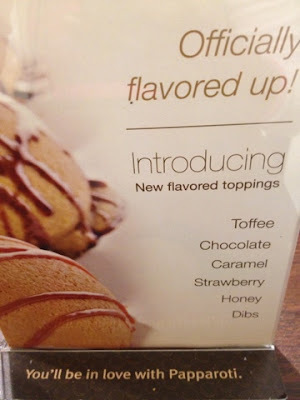 We opted to have it simple, no toppings. 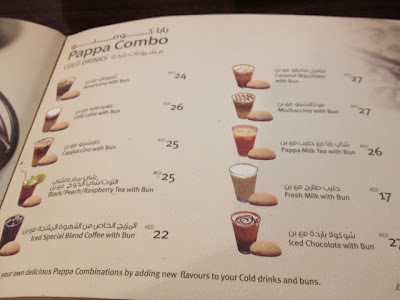 I ordered a combo of milk tea and bun. Ed had a hot chocolate and bun... and ordered another after he finished his first serving! Now I know why everyone went crazy over this simple-looking bun! 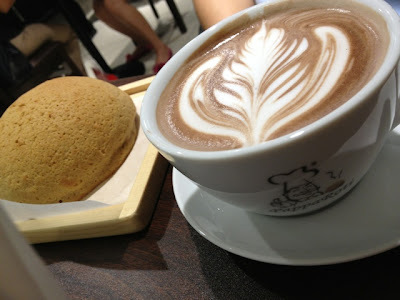 It is freshly baked with an aroma that tickled my senses. that compliments the creamy fluffy bun! A light snack for 2 at 67AED is quite expensive. But I fell in love... so hard that I would exchange any meal for a bun and tea at PappaRoti! Hello Tet! 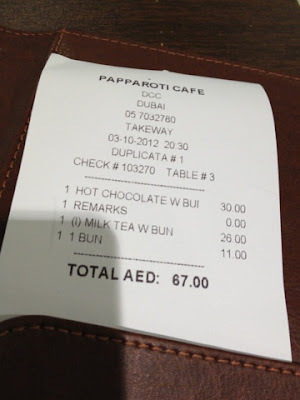 1 Dirham is around 11-12 Pesos. 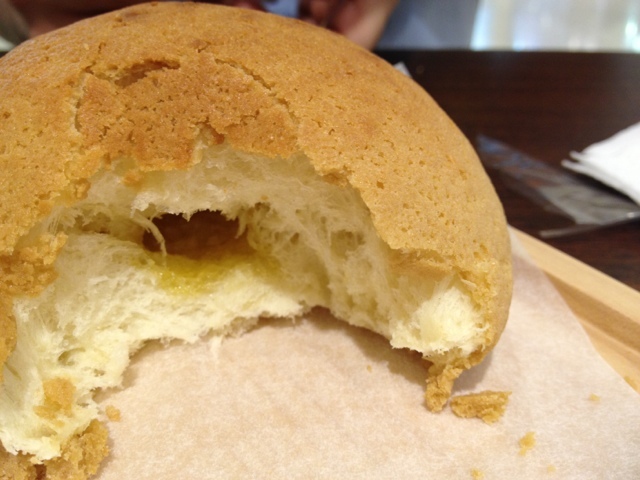 oh, we have that in our office cafeteria which we call coffee bun... and it's wiped out almost immediately after the chef has brought it to the bakeshop pantry. Wow, the food looks soo gooood I can almost taste it! That's about 120pesos for one bun, right? Expensive nga but it looks like a big serving. And since you are planning to go back there, that means it is worth the steep price. :D When you're back here, try Kopiroti for just a fraction of that price. 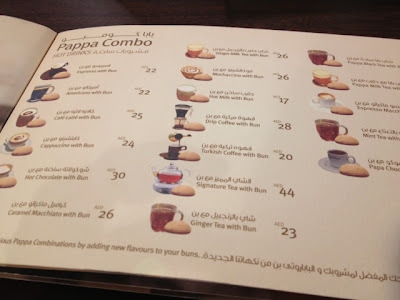 Okay, lots to say: i love that tall glass of milk tea; i love the cute bun and mug drawings on the menu; i love that the bun was presented in a, what see to me, a wooden pan and lastly, i was blown away by how you described the filling of the bun,slightly salty and buttery, wow! Medyo pricey nga! How's the milk tea, btw? 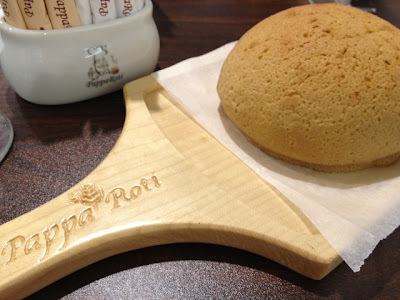 the bun looks like the ones in kopiroti.